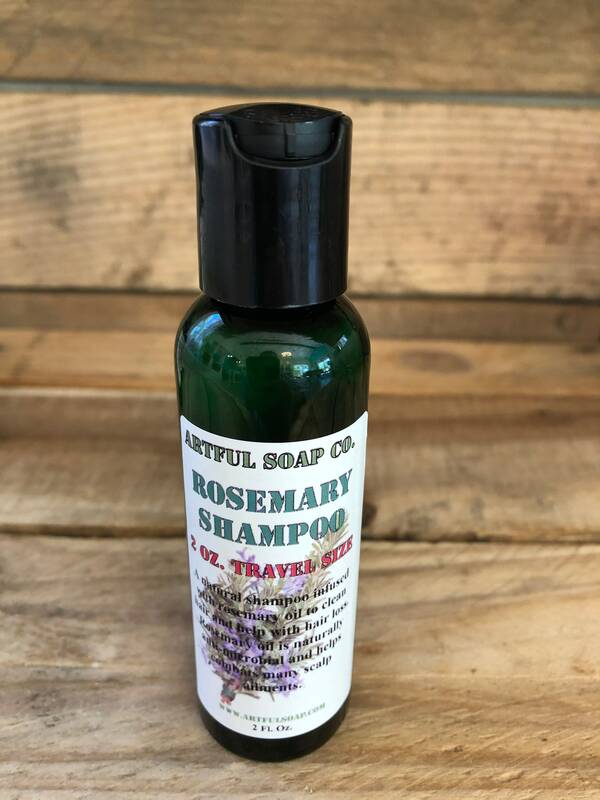 Travel Shampoo, Sample Shampoo, Shampoo, 2 Oz Travel Size, Moisturizing, Natural Shampoo, Handmade, Natural. 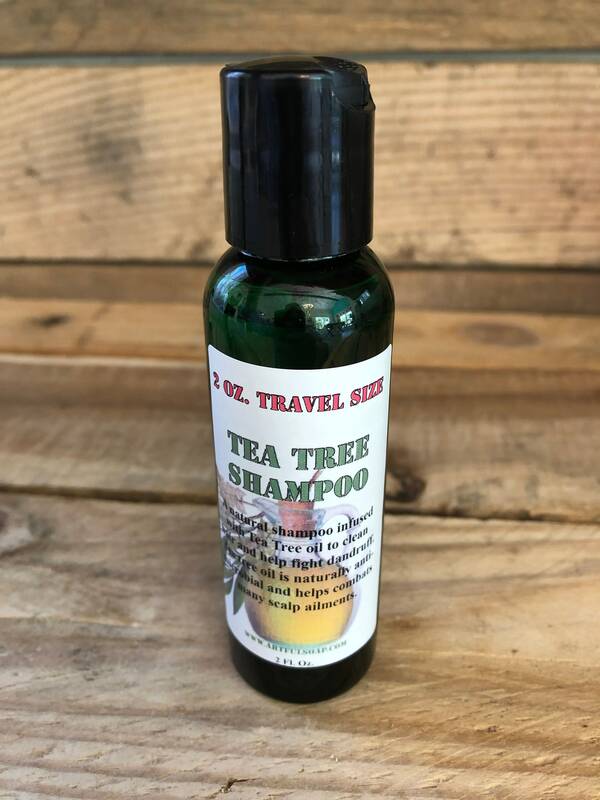 Need your favorite shampoo for that trip you're taking? The airport officials won't let you fly with our full size bottle? Just want a handy size for the guest bath? No worries! 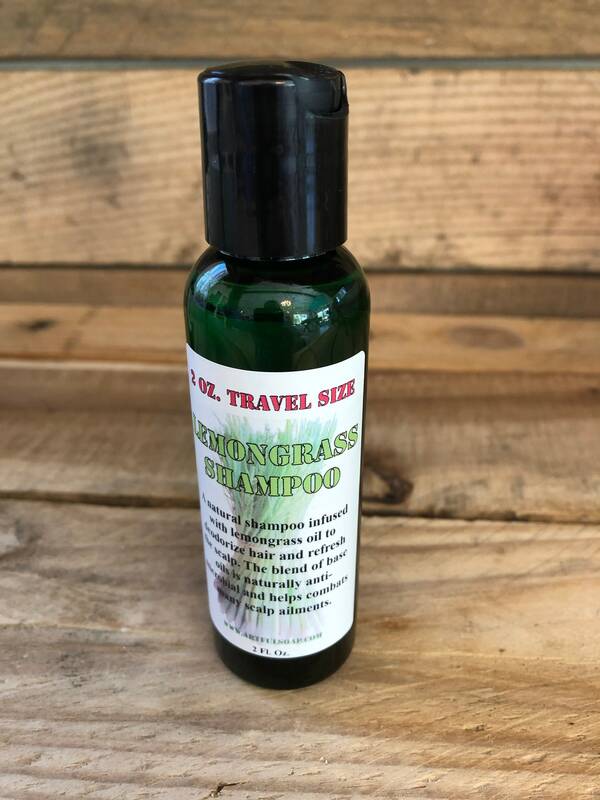 Now you can get any of our shampoos in a convenient travel size! 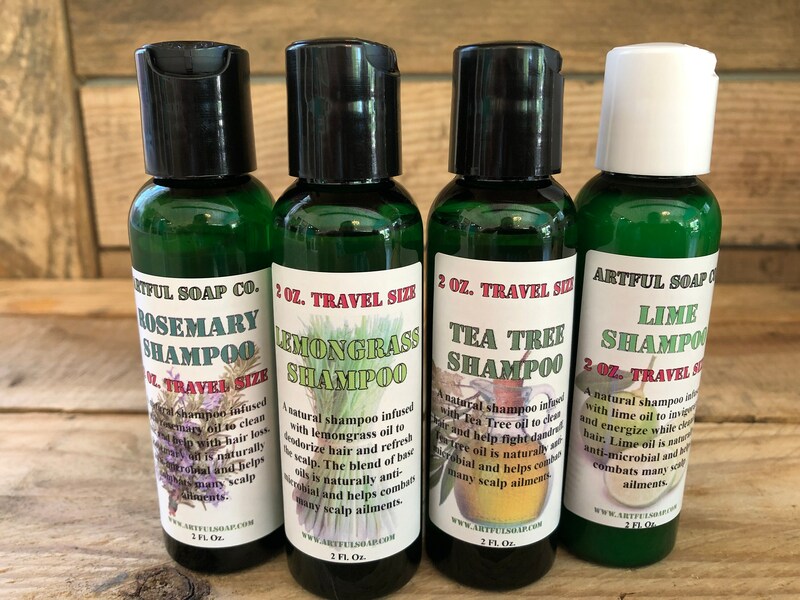 These 2 oz bottles are perfect for any occasion where you want to have our moisturizing lather available! 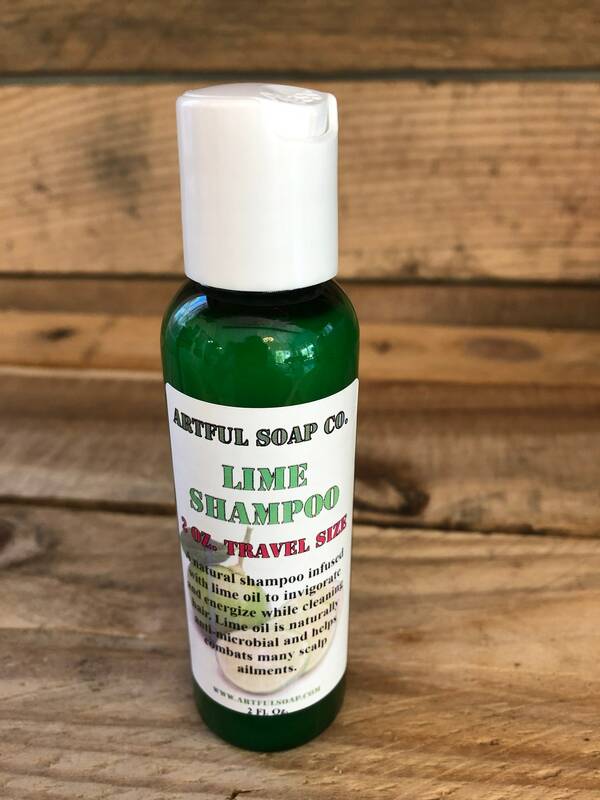 Same great shampoo you love, just a little smaller bottle! Grab yours today! 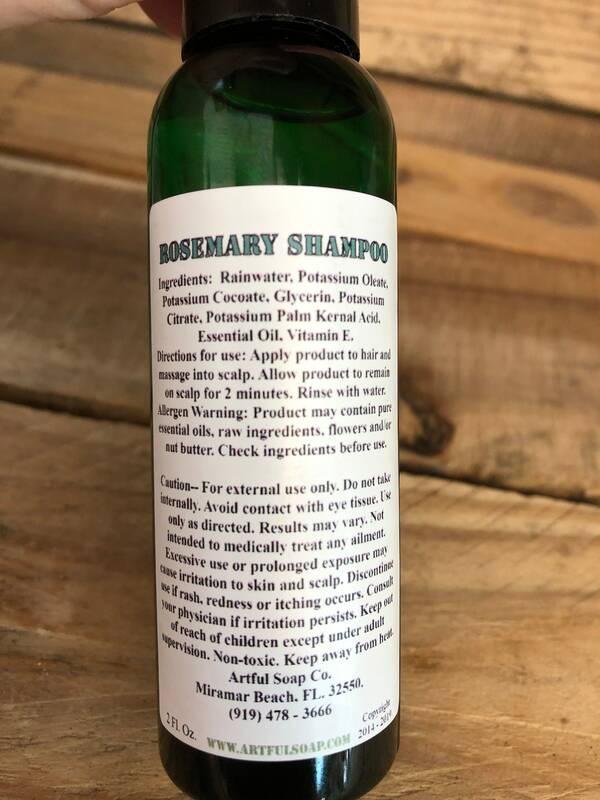 Ingredients: Rainwater, Potassium Oleate, Potassium Cocoate, Glycerin, Potassium Citrate, Potassium Palm Kernal Acid, Essential Oil, Vitamin E. 2 Fl Oz.